Do you plan on adding a new pool to your backyard or want to make updates to an existing pool? If so, it makes good sense to prepare a budget. You’ll want to make good equipment choices that save money and energy to maximize your investment. This alone can result in a beautiful and efficient backyard environment with more bang for your buck. Here are some helpful pool budgeting tips to get you started. Your pool equipment choices can reduce greenhouse gases while also saving you money — making a difference in our environment and your wallet. Pool owners can maximize energy savings by using technologically advanced pool products such as TriStar VS Omni. These products are designed to operate efficiently and to use green technology in their manufacturing process. 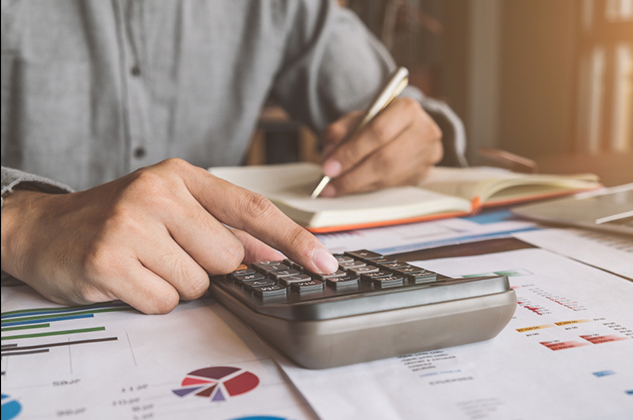 Consider professional installation and maintenance to reduce the chance of mistakes — which can result in unforeseen expenses down the line. Variable-speed pool pumps deliver amazing energy savings, especially when paired with an automation control. 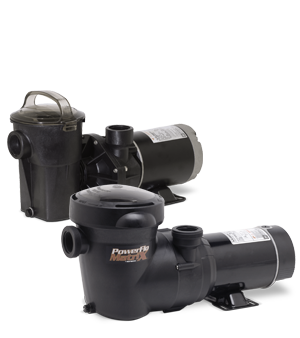 Variable speed pumps save energy by matching the pump flow to a pool’s needs, rather than running at full power 100% of the time. In fact, Hayward variable speed pool pumps save up to 90% on energy costs as compared to single speed pumps. Pool cleaners save time and energy, offering the ultimate in cleaning efficiency. Hayward’s advanced pool cleaner technology provides maximum power at almost any flow. FUN FACT: Our robotic pool cleaners use about the same energy as an incandescent bulb and can operate even when a pool’s filtration equipment is turned off. Pool filters capture dirt and debris, ensuring pool water is clean and clear. Hayward’s large-capacity cartridge filters save up to 92% of the backwash water used with traditional filters. The filter elements can be easily removed and cleaned with only a garden hose. Automatic pool sanitization systems, including salt chlorination and UV/Ozone, reduce overall chlorine use by 50% or more. Hayward offers a wide variety of high quality, long-life sanitization systems to meet the long-term needs of pool owners. Save up to 70% on energy costs by automating pool and spa functions. Do you often host social gatherings that must ‘wow” your guests? In this case, water features might shift from a luxury item into a pool budget essential. Water features can be customized to create effects for the ultimate in backyard ambiance. Hayward water features, including deck jets, sheers, and bubblers, are flexible to meet pool owners’ needs and are engineered for maximum efficiency and unmatched performance. Pool automation takes the work out of owning a pool and spa by automating all work-intensive functions, such as sanitization, balancing pH, cleaning, and filtration. Hayward’s industry-leading automation is the ultimate energy and money saver – automating essential pool and spa functions can save pool owners up to 70% on a pool’s energy costs. Click here to discover the power of OmniLogic technology. Check out MyDreamPool.com to plan and budget your next full-scale pool project. 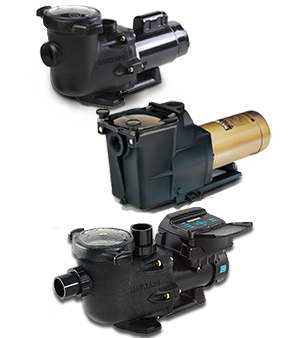 Hayward variable-speed pool pumps are ENERGY STAR certified and run at different speeds, depending on the needs of the pool. In fact, a pump that runs at half speed uses only one-eighth as much energy. Variable-speed pool pumps are also quieter than standard pumps, enhancing your family’s backyard pool experience. TIP: Hayward TriStar VS pumps are the most energy efficient pool pumps among leading brands, according to EPA ENERGY STAR. 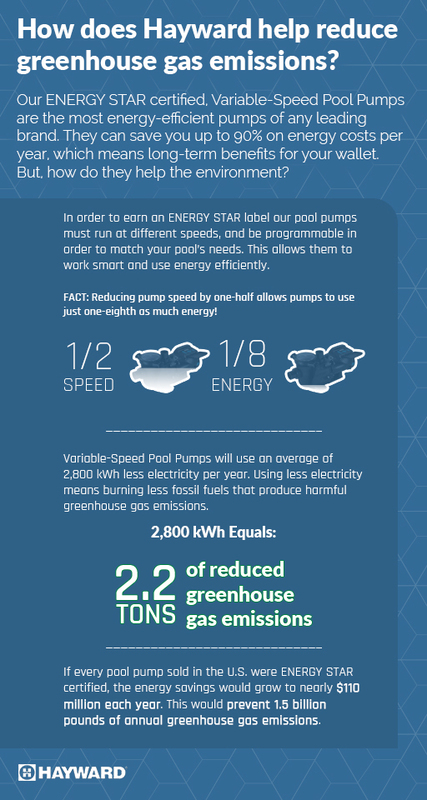 Local utility companies and energy efficiency service providers frequently offer incentives on pool equipment including ENERGY STAR certified pool pumps. Find out if your local utility offers an incentive – click here and select your state to see the current rebates. 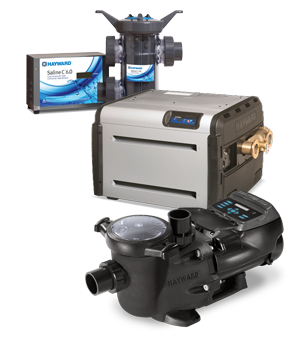 Hayward offers seasonal rebate programs to buyers of variable-speed pool pumps and many other energy-efficient products. Click here to access the Hayward Rebate Center. Take advantage of the offseason – develop your pool budget now to include energy-efficient pool equipment. You’ll maximize your swimming pool investment by choosing the right products. Contact your local Hayward Dealer to get help selecting the right products for your pool setup.